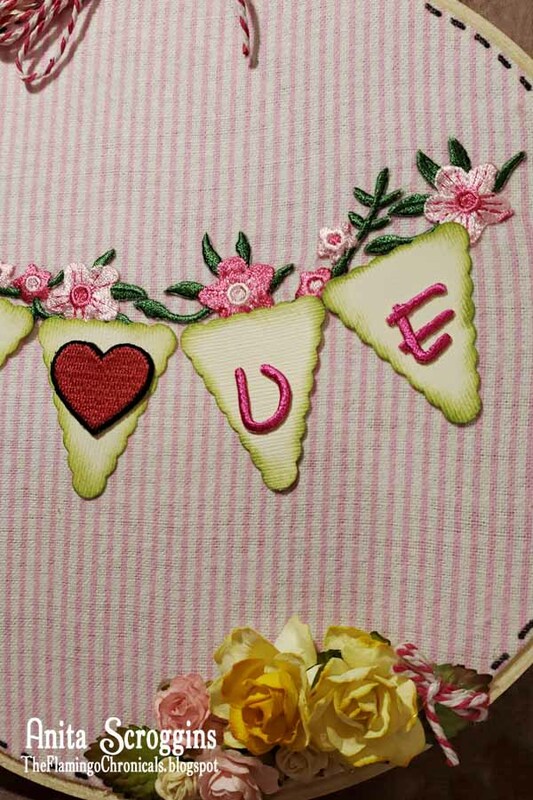 Create beautiful decor for your home easily using Joy® Iron -n letters and appliqués and a few simple supplies. Embroidery hoops are all the rage right now for home decor. They are so easy to change out for different holidays and small enough to be packed away until needed next year. 1. Iron fabric to remove creases. 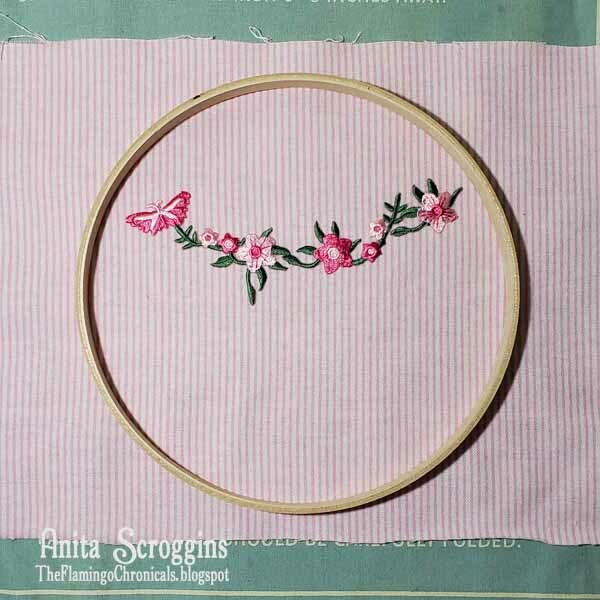 Lay smaller (inside) hoop on fabric and arrange embroidered floral iron on as desired. I cut mine in several pieces in order to get the layout I wanted. Remove hoop and iron the appliqué in place following directions on back of package. Make sure the pattern of your fabric is the way you want it before ironing. 2. Place fabric in hoops, stretching until it is taut. Trim fabric. Working in small sections, wrap around to the inside and adhere with Fabri-Tac. Press fabric firmly in place making sure that all edges are secured. 3. 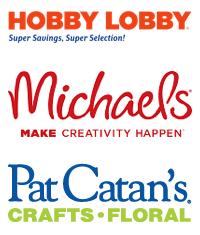 Make pennants from cardstock, ink the edges, and iron the letters on. I use the same method as for fabric but shorten the time to about 10 seconds per side. 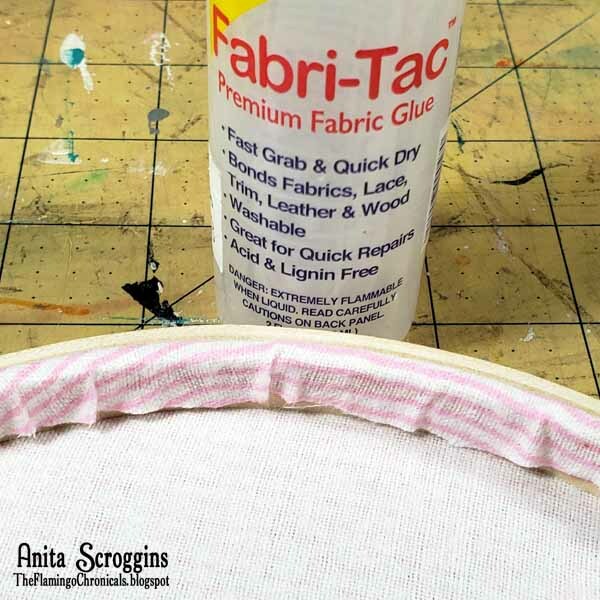 Adhere to fabric using Fabri-Tac. Adhere the heart in place of the "O". 4. 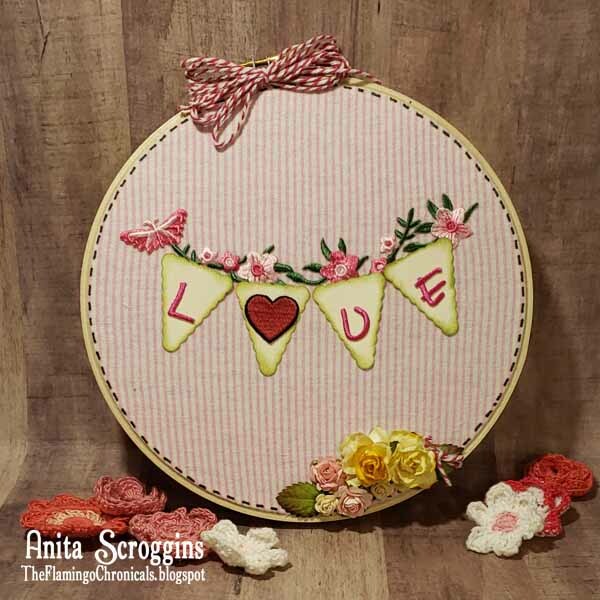 Use a black felt tip pen to add faux stitching around the edges. 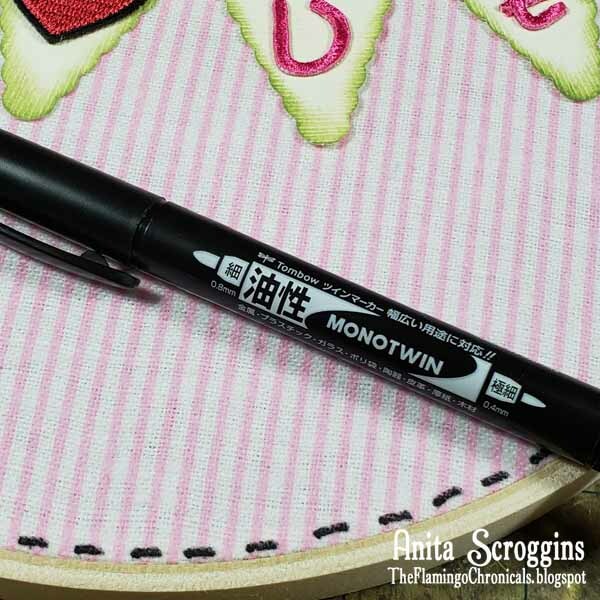 Be sure to test the pen on a piece o scrap fabric first to make sure it doesn't bleed! Adhere paper flowers and leaves to bottom of hoop and a twine bow at the top to cover the clasp.